In Asia the war followed a similar pattern. 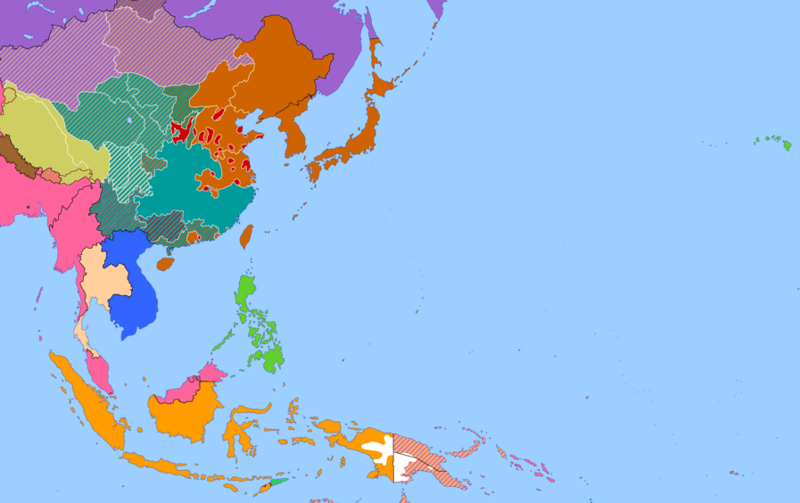 The pre-war imperialist carve-up of east Asia is illustrated in the map above. The older European empires and the expansionist USA confronted the newer force of Japanese imperialism, which had already subjugated vast territories in Korea and China. 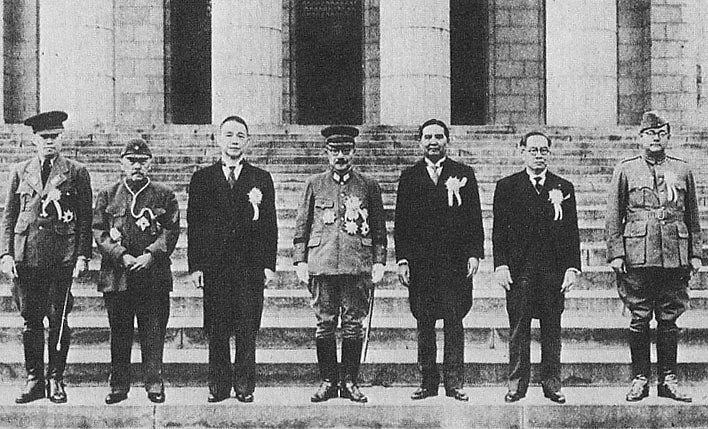 Japan attempted to mobilise nascent nationalisms under the banner of an anti-European “Greater East Asia Co-Prosperity Sphere”, but this was only the scantiest of fig-leafs for Japanese imperialism and explicitly asserted Japanese superiority and leadership over the other peoples of the east. In opposition to Japanese imperialism, the US and the UK offered, not liberation to the peoples of the east, but the defence and restoration of the old imperial regimes. As we have already seen, in India the British state denied and repressed by force any claims for Indian independence or self-government within the anti-fascist war effort, and the war-time exactions placed on India combined with overtly racist contempt for Indian lives to kill millions in the Bengal famine. In Vietnam, French imperial rule endured after the defeat of France in Europe in 1940 but was replaced by Japanese overlordship from 1941. Tellingly the new imperial masters worked together with the old French imperial regime, and the Vietnamese people found themselves oppressed by not one but two imperialist powers. The exactions of the French and Japanese directly led to the famine of October 1944 to May 1945, in which between 400,000 and 2 million Vietnamese people starved to death. 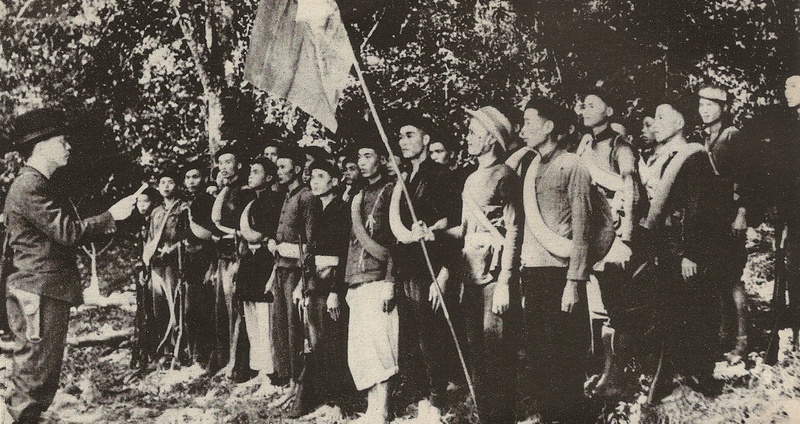 The Vietnamese national resistance movement, the Vietminh, founded in 1941, was initially supported by the USA. At the Tehran Conference in 1943, Roosevelt and Stalin agreed “100% [that] France should not get back into Indochina”. But as the war drew towards a close, US policy shifted: the coming imperatives of Cold War strategy, the growth of Communist power in China and the need to appease the anti-communist “Free French” leadership of de Gaulle, led the USA to betray its commitment to Vietnamese independence and support post-war restoration of French rule in Vietnam. 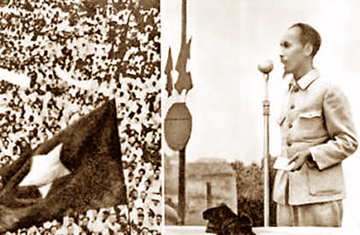 The Vietminh had pursued a broadly passive policy throughout the Franco-Japanese occupation (which was replaced by sole Japanese rule from March 1945, exercised through the fiction of Vietnamese independence under the puppet emperor Bao Dai), but the impending collapse of Japan led to a massive popular mobilisation for self-liberation in 1945, culminating in Ho Chi Minh’s proclamation of an independent Democratic Republic of Vietnam on 2 September – which attempted to shame the French and Americans by quoting from the US Declaration of Independence and the French Declaration of the Rights of Man, and optimistically hoped that “the Allied nations, which…have acknowledged the principles of self-determination and equality of nations, will not refuse to acknowledge the independence of Vietnam”. The imperialists had other ideas, and British troops under General Gracey entered south Vietnam to “liberate” the country – from the Vietnamese themselves – and hand it back to the French. In doing so, he utilised both Japanese troops and French soldiers linked to the Vichy regime, including Waffen-SS members newly released from Japanese POW camps. “Thus a bizarre coalition of Allied victors and defeated Axis, Japanese jailers and jailed collaborators, worked together to oust Vietnamese rule in their own country” (Gluckstein). In this initial British-led crackdown, at least 3,026 Vietnamese were killed. The last British forces withdrew in March 1946, leaving the French in charge of the south of the country and determined to extend their power across the whole of it (the north had been placed by the USA under nationalist China, which tacitly accepted Ho’s new government). In the longer term, of course, the Vietnamese were victorious in the greatest of all anti-imperialist wars, freeing their country from first the French and then the Americans and their puppet dictators (overthrowing the Khmer Rouge and seeing off the Chinese People’s Liberation Army to boot) – at the cost of perhaps 4 million lives and untold destruction and devastation. In the short term, the case of Vietnam provides telling evidence to support the conclusion that all the belligerent states in the Second World War were fighting an imperialist war to defend and extend empires. As in Greece, the British state was ready to work with Axis forces and collaborators to suppress national liberation movements in the service of these imperialist objectives. Two Jap sentries stand at this billet door, as I write, armed with loaded British rifles, and a Bren Machine Gune with 13 full magazines. We sleep securely, thinking ‘Hell have we descended to THIS? Our tortured POW comrades must be writhing in their jungle graves; what did they die for? This period of British occupation left some 31,000 Indonesians dead or injured (at the cost of 2,400 British casualties). 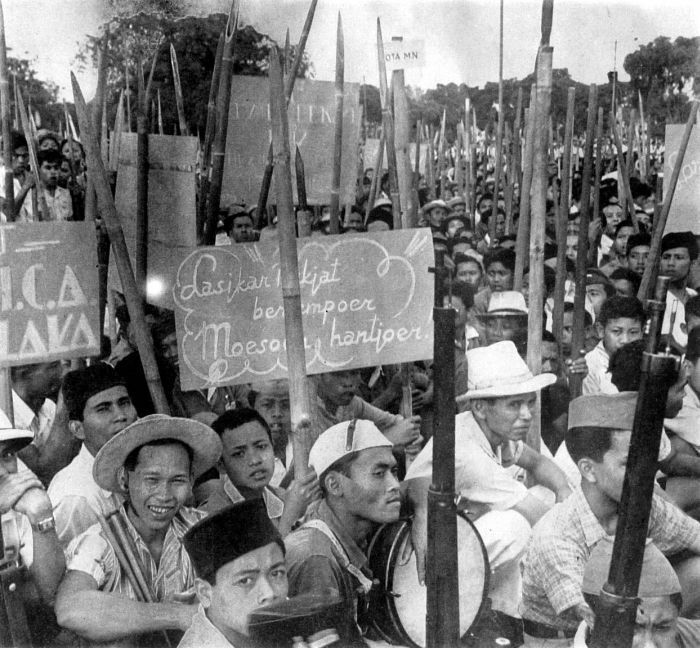 In November 1946, their job done, the British handed Indonesia over to 55,000 Dutch troops, but the Dutch were not able to quell Indonesian resistance, and in December 1949 were forced to pull out and recognise Indonesia independence. Thus in the longer term the national liberation was successful, but as in Vietnam, we see that British imperialism was ready and willing to work with its Axis foes to re-assert the old empires in east Asia – for the British state, this was emphatically a war for empire, not for liberation. Look for my next post, which will consider whether the Second World War was a crusade against racism and fascism. This entry was posted in World War II and tagged Britain, empire, history, war, WWII by therationalcolonel. Bookmark the permalink.